Copenhagen is drowning in unused bikes. 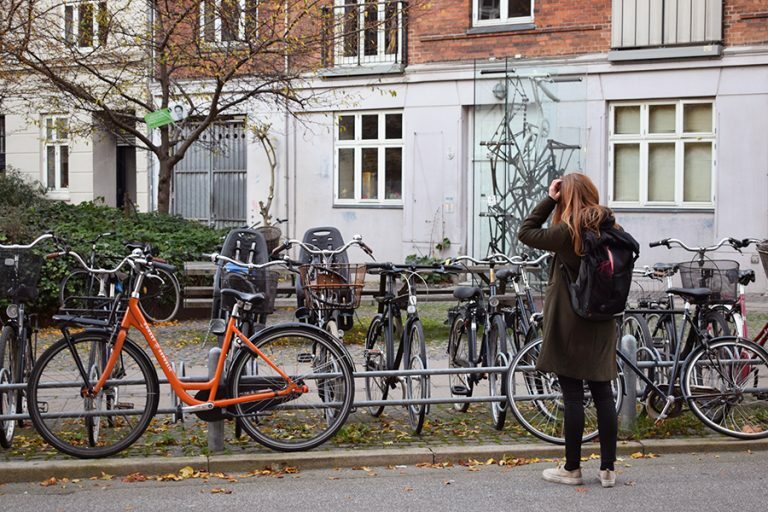 There are more than 25,000 homeless bikes on the Copenhagen streets. Is one of them yours? Buddha Bikes and Donkey Republic are teaming up to recycle your old bike and offer you unlimited free use of Donkey shared-bikes all over Copenhagen. Your old friend will be upcycled, resold and reloved by a new owner. And you’ll ride into the 21st century with a convenient and flexible bike-share membership. 1. Bring your old bike to Buddha Bikes. We take any adult bike – the old and the new, yellow and blue, funky or wonky – as long as it’s yours! Buddha Bikes works actively against throwaway culture by reincarnating used bikes and turning them into shining beauties again. Buddha Bikes is a social enterprise that educates and hires vulnerable people to give them a chance to find themselves in society. 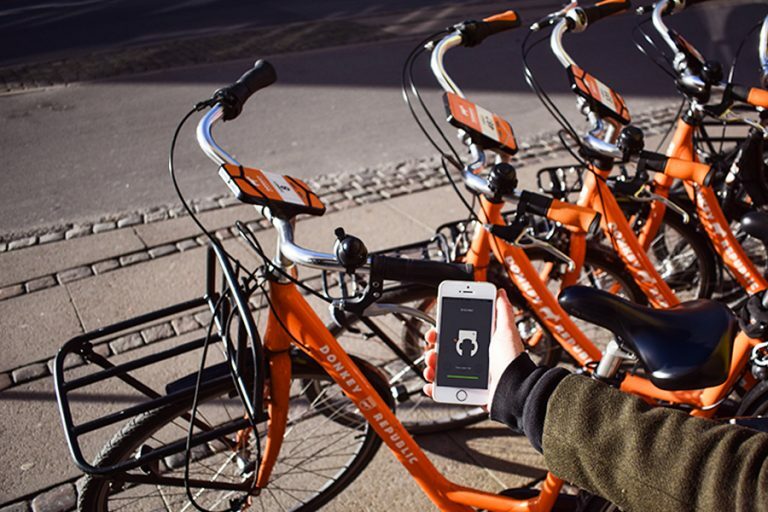 Quality, light and comfortable city bikes you can unlock with a tap on your phone. Bikes in 200+ locations around Copenhagen. Pick-up and drop-off where you like. Always there when you need it, and happily left behind when you don’t. Free rentals also across Europe – Malmö, Berlin, Munich, Amsterdam, Rotterdam, Vienna, Budapest, Barcelona, Madrid, London.